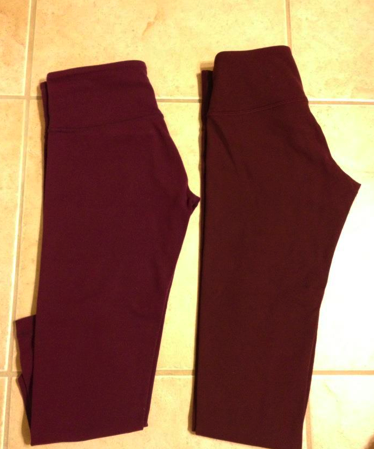 Thanks to Ms. Q for providing a color comparison of Plum Wunder Unders and Bordeaux Drama Wunder Unders. According to Ms. Q, plum is more purple while Bordeaux is a deeper red. Of the two I gravitate more to Bordeaux Drama. "Product Alert Images: Pigment Blue Cool Racerback, Bordeaux Drama Relax Fit Pants and Studio Crops, Pigment Blue Relax Fit Crops II"